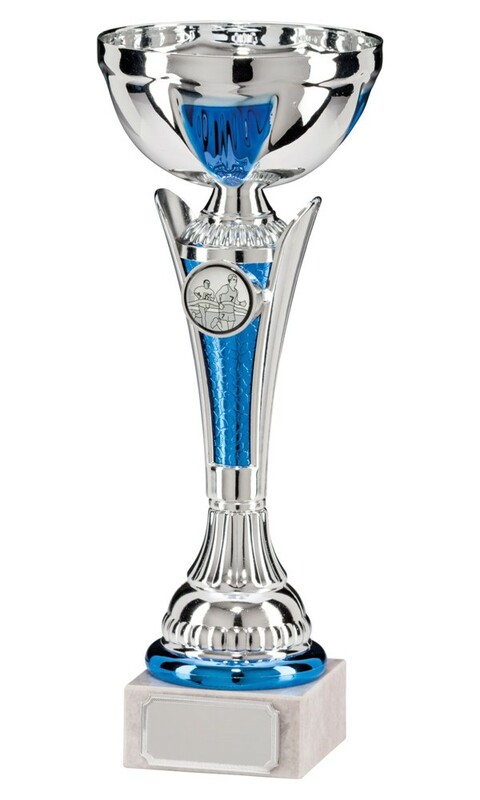 Large Silver and Blue Conquest Cup. Available in 4 sizes, 230mm, 240mm, 255mm and 290mm high. Metal silver cups with a blue and silver plastic riser mounted on a heavy marble base.